Hexagon Lock Nut DIN 739 B (1987). Studding, Allthreads and Engineering Studs. 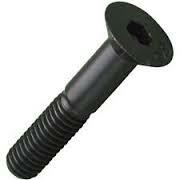 Drywall Fine Thread Screws Black Phos. Please be aware that you are ordering of this product and not 1. Orders over £150 will qualify for free 2-3 working day delivery*. Orders under £150 will be subject to a carriage charge - please read further for our delivery options. We offer a number of nationwide* services. Please see below for our delivery options. *Please note that orders to the Isle of Wight, the Isle of Man, the Scottish Isles, the Scottish highlands, Northern Ireland and the Channel Isles will incur a carriage surcharge. Orders placed before 12:00 midday with next day carriage will be dispatched the same day (Monday to Friday). Orders placed after 12:00 midday with next day carriage will not be dispatched until the next working day. Orders placed on Saturdays, Sundays or bank holidays with next day carriage will be dispatched on the next working day. We aim to despatch all orders on our standard working day delivery service within 2 working days, as long as all of the ordered items are in stock. Please note that orders to the Isle of Wight, the Isle of Man, the Scottish Isles, the Scottish highlands, Northern Ireland and the Channel Isles will incur a carriage surcharge. All orders are available for collection from our premises. Collected orders will normally be ready within 2 hours of the order being placed, as long as all items are in stock at the time of order. Utility Fasteners Limited offers a free van delivery service within Northamptonshire excluding postcodes NN11, NN13 and NN17 where standard carrriage terms are applicable.